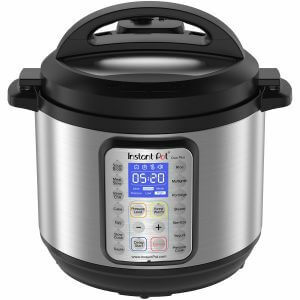 Pressure cookers are a great addition to your kitchen because they allow you to prepare different dishes with minimal time. Unfortunately, pressure cooker gasket sealing rings can develop bad odor due to different reasons. After prolonged use of the cookware, the silicone gasket rings can develop a bad odor. The odor is brought about due to food particles which land on the gasket and are not cleaned thoroughly. Additionally, even the steam trapped on the sealing gasket can contain food odor which ends up sticking on the sealing rings. They can develop a bad smell if not managed. In some cases, the smell becomes so much that it can detract from the food served. In reality, it is unlikely to cause any real impact on your food quality, but the smell is simply unpleasant and distracting. Fear not, your loved ones can enjoy great tasting food if you clean the pressure cooker well. You should not worry because there are several methods you can apply to clean the pressure cooker gasket sealing ring. After multiple attempts at testing various methods, the results are not perfect, but the smell can be neutralized to a significant degree. Start by removing the silicone seal from your pressure cooker then place it in a sealed container. Add baking soda paste. The paste should cover the rings. 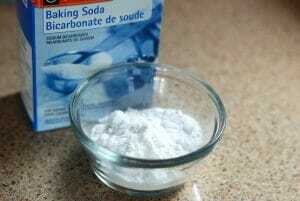 You can as well add dry baking soda to the rings and ensure it covers their surfaces. Close the container tightly and let the rings stay in the enclosure overnight. Baking soda has active ingredients which will react on the bacteria causing the bad odor hence making your silicone seals stay fresh and smelling great. You can clean both the pressure cooker and the gasket seals using vinegar. The process is simple, add two cups of water in the pressure cooker then add a cup of lemon water. Turn on the pressure cooker in a steam cycle then let it heat for about two minutes. The combination of vinegar and lemon water will kill the bad smell from your pressure cooker gasket seals and leave you with sealing gaskets which smell great. Your dishwasher can help you get rid of the bad odor from the pressure cooker gasket sealing rings. Run the pressure cooker sealing rings through the top rack of your dishwasher after selecting the hottest cycle. It is a simple solution which you can apply. Many people prefer the method because it is easy to use at home. You can soak the sealing rings in lemon juice then rinse the following morning. Lemon has active ingredients which will react on the bacteria causing the bad smell hence make your pressure cooker smell great. You can soak the sealing gaskets in diluted vinegar for about two hours then wash with plenty of water. The method is effective in removing the bad odor from your sealing gaskets. Another method you can apply is to use different rings when preparing foods with strong smell. Leaving the gaskets in the sun can as well offer a solution in some cases.